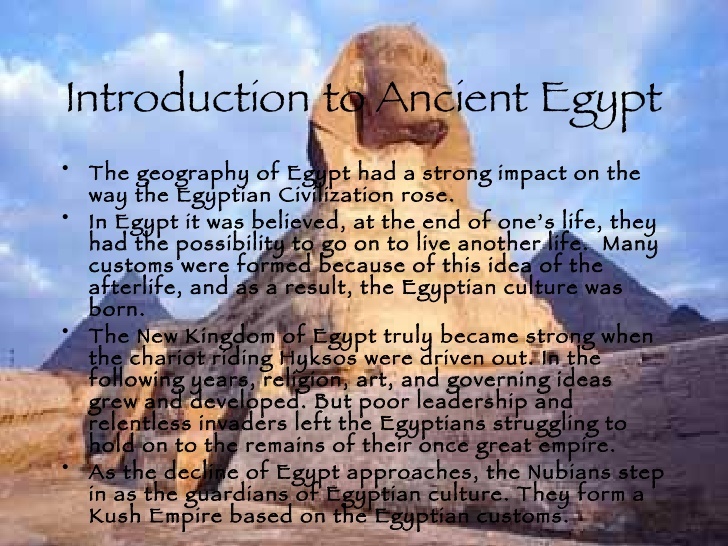 Egypt profile Formal Name: Arab Republic of Egypt. Egypt profile Approximately 1 million square kilometers.Topography: Four major regions: Nile Valley and Delta, where about 99 percent of population lives; Western Desert; Eastern Desert; and Sinai Peninsula. Climate: Except for modest amounts of rainfall along Mediterranean coast, precipitation ranges from minimal to nonexistent. Mild winters (November to April) and hot summers (May to October). Estimated at more than 52.5 million in mid1990 , mostly concentrated along banks of Nile River. Annual growth rate estimated at 2.6 percent. Education compulsory for basic nine-year cycle but attendance not enforced; approximately 16 percent of school-age children did not attend. Literacy approximately 45 percent in 1990. Ministry of Health provided health care at variety of public medical facilities. Urban-rural distribution of health care generally biased in favor of larger cities. Average nutrition compared favorably with most middle- and low-income countries. Average life expectancy at birth fifty-nine years for men and sixty years for women in 1989. Egyptians, beduins, Greeks, Nubians, Armenians, and Berbers. Almost 90 percent Sunni Muslims, 8.5 percent Coptic Christians, 1.5 percent other Christians. Gross Domestic Product (GDP): US$45.08 billion, or US$867 per capita in 1988. Economy experienced sluggish growth after mid-1980s. Agriculture: Single largest source of employment; contributed 15 percent of GDP in 1987. Major crops by area planted (in descending order): clover for livestock feed, corn, wheat, vegetables, rice, cotton, and fruit. Heavily dependent on food imports. Some reforms in pricing implemented in 1980s. Contributed 34 percent of GDP in 1987. Share of manufacturing in GDP 12 percent; sector stagnated in 1980s. Manufacturing produced mainly consumer goods but also some basic industries such as iron and steel, aluminum, and cement. Manufacturing dominated by public sector; consensus that sector needed reform. Oil share of GDP fell considerably with crash of oil prices in late 1985. Oil production averaged 42.7 tons per year between 1984 and 1988. Gas acquiring added importance in 1980s. US$4.8 billion in 1988, of which oil was US$3.1 billion. Textiles US$458 million and other manufacturing US$810 million. Cotton (major export before late 1970s) US$310 million. Exports stagnated in 1980s. US$10.6 billion, of which intermediate goods US$3.7 billion, capital goods US$3 billion, consumer goods US$2 billion, and food and agriculture US$1.7 billion. Trade deficit increased rapidly in first half of 1980s and stabilized in second half. Civilian US$35 billion in 1988 (forecast); military US$10.8 billion. Negotiations with International Monetary Fund continuing in early 1990 on debt rescheduling and economic restructuring. Egyptian pound (£E) consists of 100 piasters. In early 1990, worth between US$1.00 and US$1.50 depending on applicable exchange rate. Fiscal Year: Since July 1, 1980, July 1 through June 30. More than 4,800 kilometers of track, 950 kilometers of which double-tracked. Bulk of system standard gauge (1.435 meters), but 347 kilometers narrow gauge (0.75 meter). Twenty-five-kilometer suburban transit link between Cairo and industrial suburb of Hulwan electrified. Southern part of Cairo Metro opened 1987; northeast line opened 1989. Ferry at Aswan connects Egyptian Railways to Sudanese system. More than 49,000 kilometers, of which about 15,000 kilometers paved, 2,500 kilometers gravel, 31,500 kilometers earthen. About 3,500 kilometers, consisting mainly of Nile River and several canals in Delta. About 160 kilometers for international shipping between Red and Mediterranean seas. Reopened in 1975. Capable of handling ships of 150,000 deadweight tons laden and 16 meters draft. 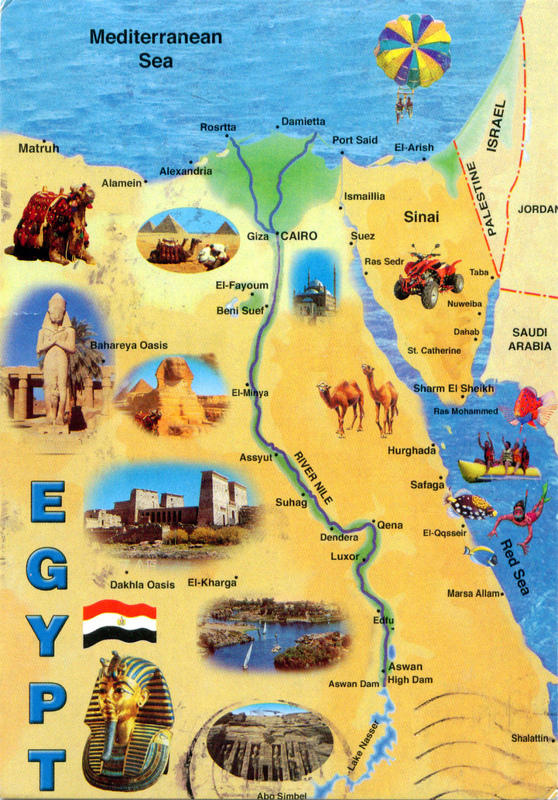 In 1987 17,541 ships transited canal with 257,000 tons of cargo, earning Egypt US$1.22 billion. Alexandria main port. Port Said and Suez other two large ports. Phosphates shipped from Bur Safajah on the Red Sea. Port near Alexandria remained under construction in 1990. Pipelines: About 1,400 kilometers for domestic crude oil and refined products plus about 600 kilometers for natural gas. Sixty-six airfields but only Cairo and Alexandria handled international traffic. Telecommunications: Well developed radio and television facilities; shortage of telephones. Numerous international communications links. Government: Constitution of 1971 delegates majority of power to president, who dominates two-chamber legislature–lower People’s Assembly and upper Consultative Council, created in 1978 from the old Central Committee of the Arab Socialist Union–and judiciary, although each constitutionally independent. President possesses virtually unrestricted power to appoint and dismiss officials, including vice president or vice-presidents, prime minister and members of Council of Ministers, military officers, and governors of the twenty-six administrative subdivisions known as governorates. President Husni Mubarak (1981- ), former military officer, as were his predecessors: Gamal Abdul Nasser (1954-70) and Anwar as Sadat (1970-81). Nasser was leader and Sadat member of Free Officers’ group that overthrew monarchy in 1952 Revolution. President dominated National Democratic Party formed in 1977. Opposition composed of number of secular and religious parties in legislature, of which Muslim Brotherhood was the chief, and some nonparliamentary Islamic extremist groups. Member of United Nations and its specialized agencies; Organization of African Unity; and Nonaligned Movement. Founding member of League of Arab States (Arab League), headquartered in Cairo until after Egypt Egypt profile signed peace treaty with Israel in March 1979. Arab League expelled Egypt and moved headquarters out of country. In 1990 Arab League headquarters scheduled to return to Cairo. Total personnel on active duty 445,000, including draftees mostly serving for three years. Reserves totaled about 300,000. Component services: army of 320,000 (estimated 180,000 conscripts), navy of 20,000 including 2,000 Coast Guard (10,000 conscripts), and air force of 30,000 (10,000 conscripts). Air Defense Force separate service of 80,000 (50,000 conscripts). Army: four armored divisions, six mechanized infantry divisions, two infantry divisions, four independent infantry brigades, three mechanized brigades, one armored brigade, two air mobile brigades, one paratroop brigade, Republican Guard armored brigade, two heavy mortar brigades, fourteen artillery brigades, two surface-to-surface missile (SSM) regiments, and seven commando groups. Twelve submarines, one destroyer (training), five frigates, twenty-five fast-attack craft (missile), eighteen fast attack craft (torpedo), minesweepers, and landing ships. About 440 combat aircraft and 72 armed helicopters; force organized into one bomber squadron, ten fighter-ground attack squadrons, thirteen fighter squadrons, two reconnaissance squadrons, and fifteen helicopter squadrons, plus electronic monitoring, early warning, transport, and training aircraft. Air Defense Force organized into more than 230 battalions of antiaircraft guns and SAMs. Tanks and armored personnel vehicles a mix of older Soviet and newer United States models. Other major equipment included Soviet artillery and mortars; Soviet, French, United States, and British antitank rockets and missiles; and mostly Soviet tactical air defense weapons. Egypt planned to coproduce 540 Abrams M1A1 tanks with United States beginning in 1991. Air force fighters included F-16s and F-4s from United States and Mirage 2000s from France, backed by large number of older Soviet designs. Most fighting ships of Soviet or Chinese origin, although fleet included two modern frigates built in Spain and six British missile boats. Air Defense Force had more than 600 Soviet SA-2 and SA-3 SAMs plus 108 improved Hawk SAMs from United States. Authoritative data not available although minister of defense claimed spending £E2.4 billion or 10 percent of total government outlays in 1989. Other sources believed defense expenditures twice as high as claimed, even excluding US$1.3 billion in military aid from United States, aid from Saudi Arabia, and income from other sources such as foreign sales of domestic defense industry. Principal security agencies– national police force of more than about 122,000 members and Central Security Forces, a paramilitary body of about 300,000, mostly conscripts, which augmented regular police in guarding buildings and strategic sites and controlling demonstrations. Several other government agencies had own law enforcement bodies.